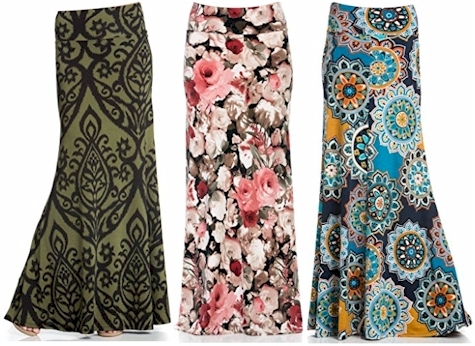 Amazon has got these print maxi skirts for $27.99 with free Prime shipping. There are 33 different designs available in sizes S-3XL. Not all sizes are available in all prints. More deals on modest women's clothing can be found here. You can also see this item on Daily Cheapskate's Amazon Influencer page, along with other great deals on Amazon.